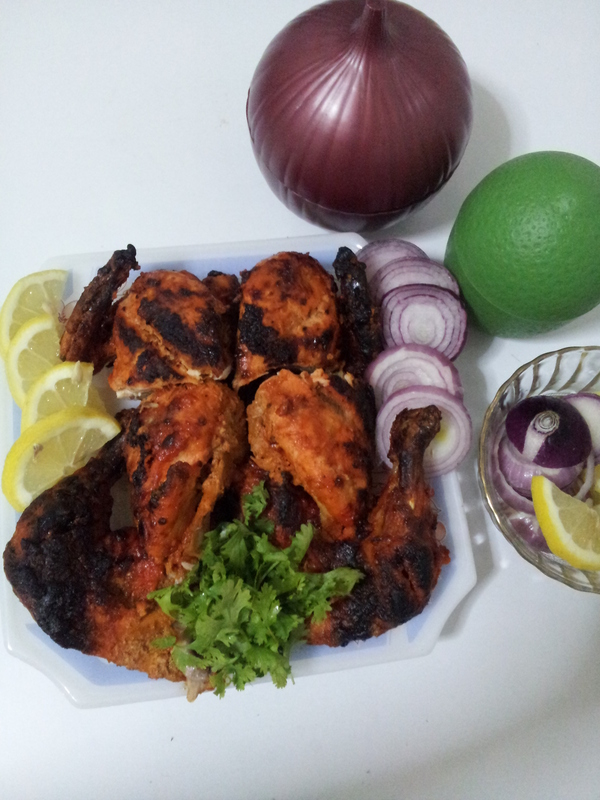 Murgh Tandoori – Tandoori Chicken | My Cooking Diaries "CooklikeCecilia.com"
Remove skin, clean and wash chicken. 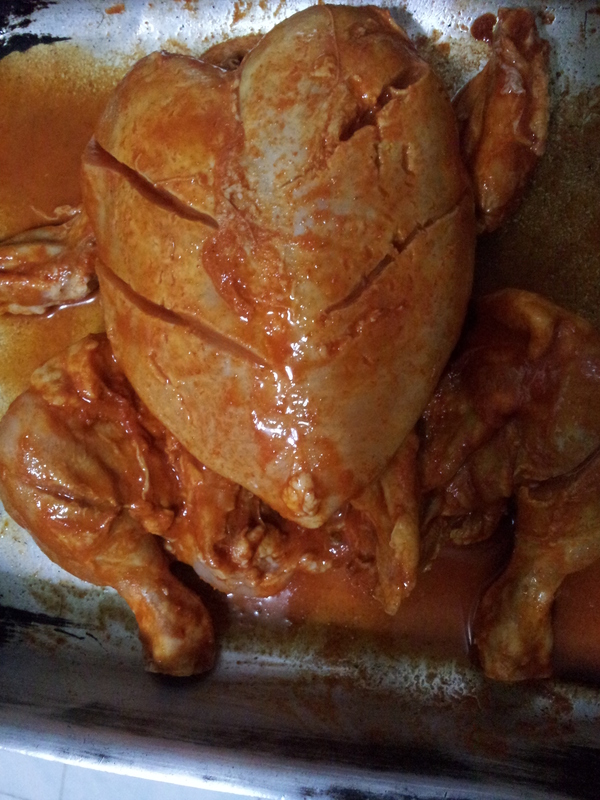 Make two to three deep incsions each on the breasts, legs and thighs and marinate with salt, chillie powder and lemon juice. Keep aside for 15 minutes. Preheat oven to 350deg F. Skewer the chicken and keep a tray underneath to collect the drippings or roast in a hot tandoor or pre-heated oven till the moisture evaporates and it starts leaving oil. Baste with butter, if required. .Cut the tandoori chicken into desired sized pieces and serve with sliced onion, lemon, green salad and naan or any bread of your choice.